Come vi ho promesso lunedì scorso, oggi vi consiglio qualche abbinamento per le collane "Layers", in particolare il set n.02. Tre piccole lune realizzate a mano in ottone, e perline in vetro e una di ottone. Fanno parte della collezione Spirit of Earth. Trovate le collane Layers su Etsy, DaWanda, ALittleMarket. As I promised you last Monday, today I'd like to suggest you some tips on how to style the layered necklaces, in particular the set nr.02. 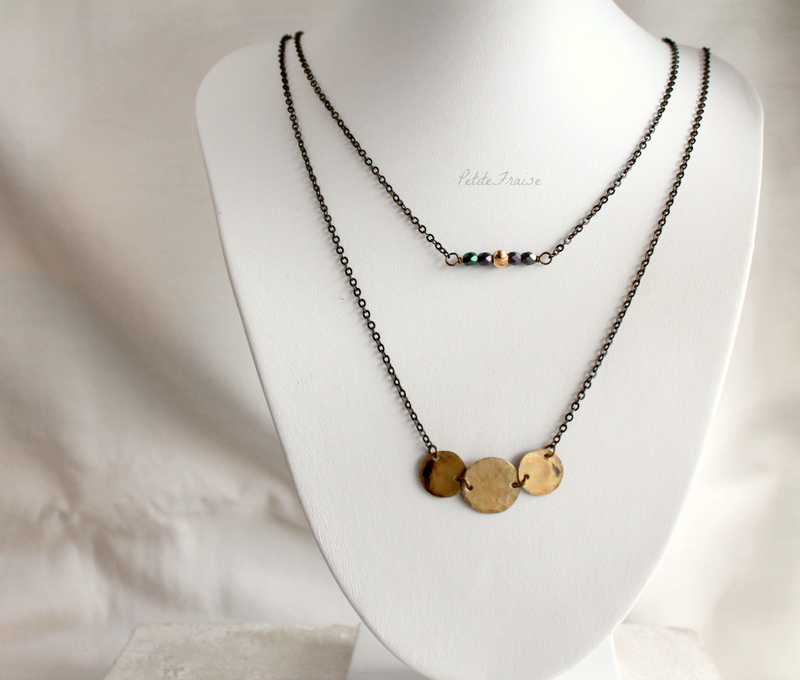 Three tiny handmade brass moons, glass and brass beads. They're part of the Spirit of Earth collection. As the last time, I used Polyvore (I always have so much fun!). Among the pieces I chose (click on the icons under the picture or click HERE), only the fringe cardigan has a boho style, like my jewelry. The other pieces are easy-to-wear but they're very trendy this season, like the tartan backpack, the oversize coat, and the short boots, very simple yet versatile. The layered necklaces are available on Etsy and DaWanda.